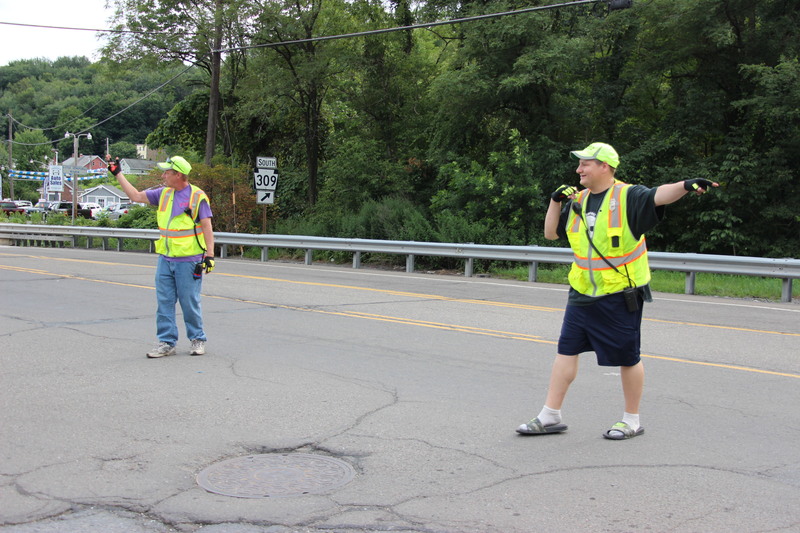 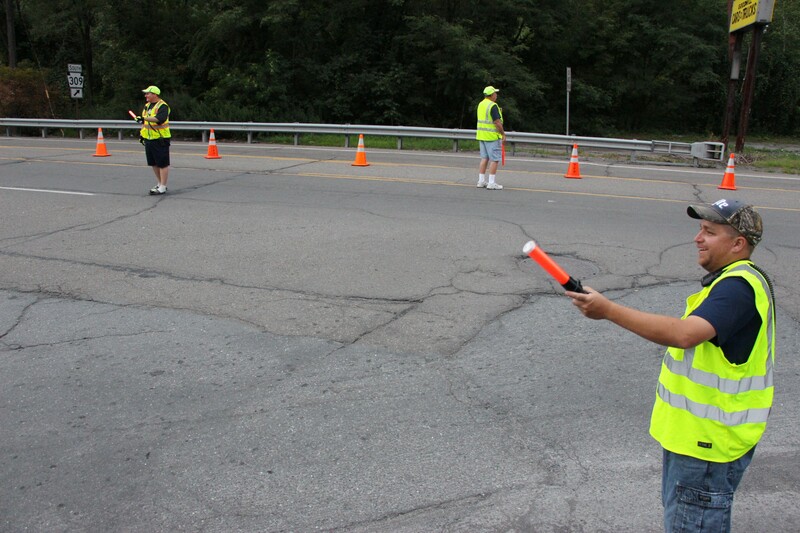 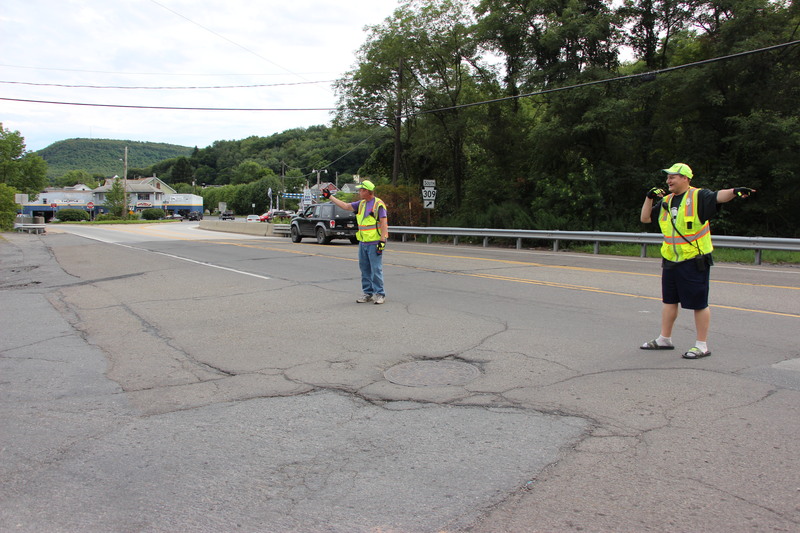 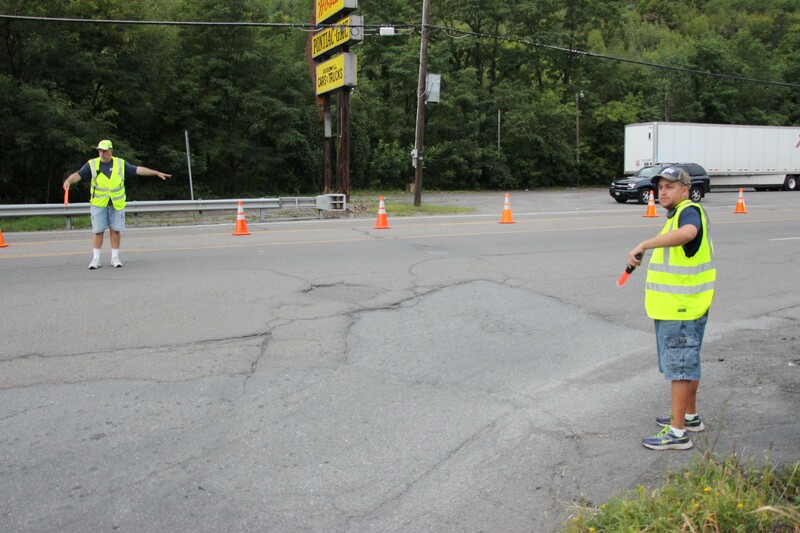 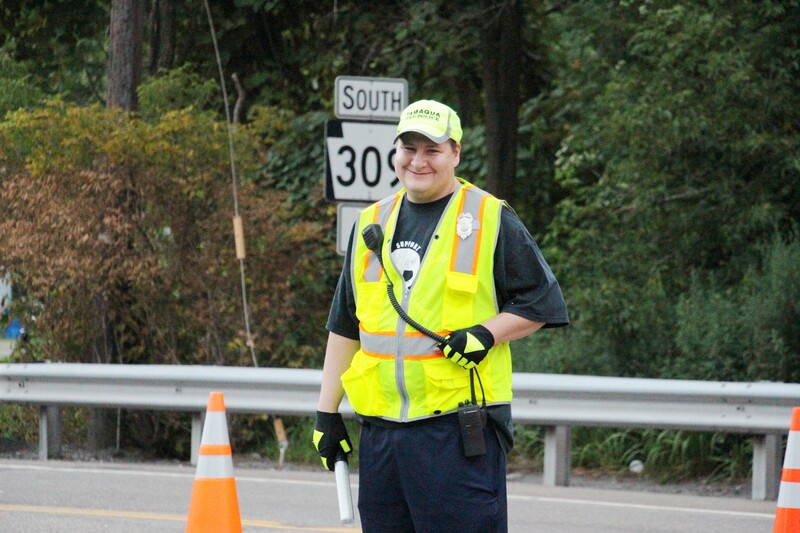 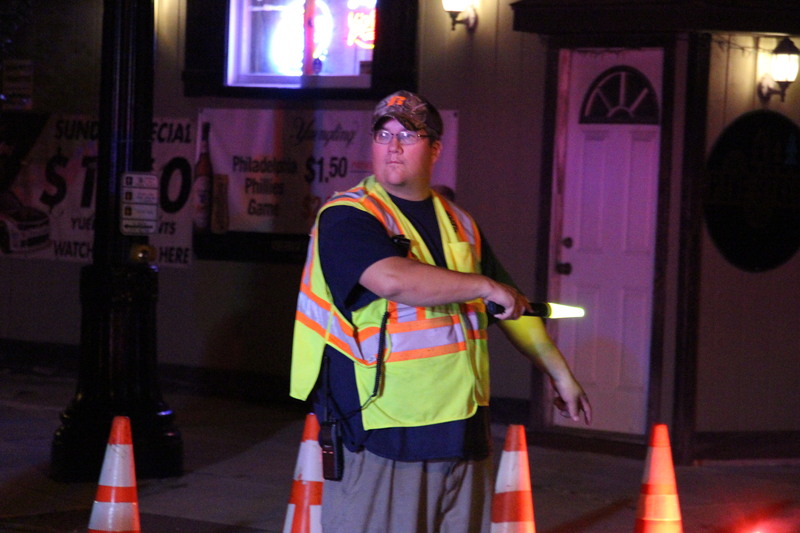 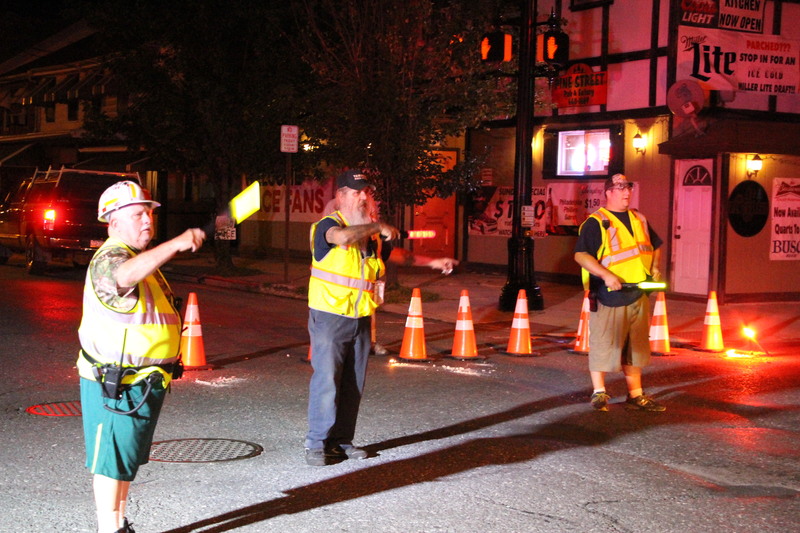 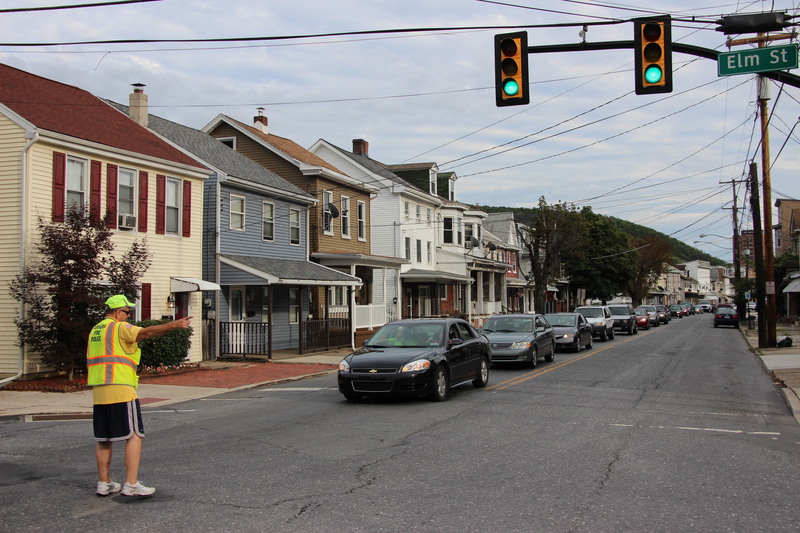 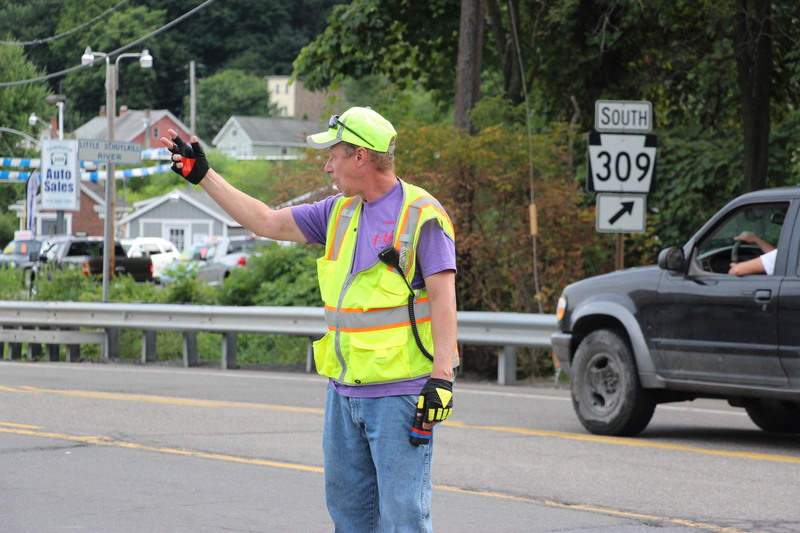 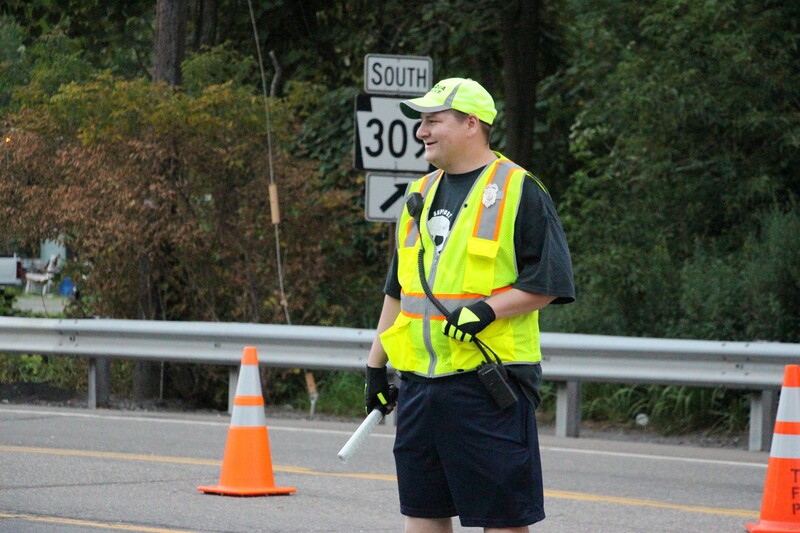 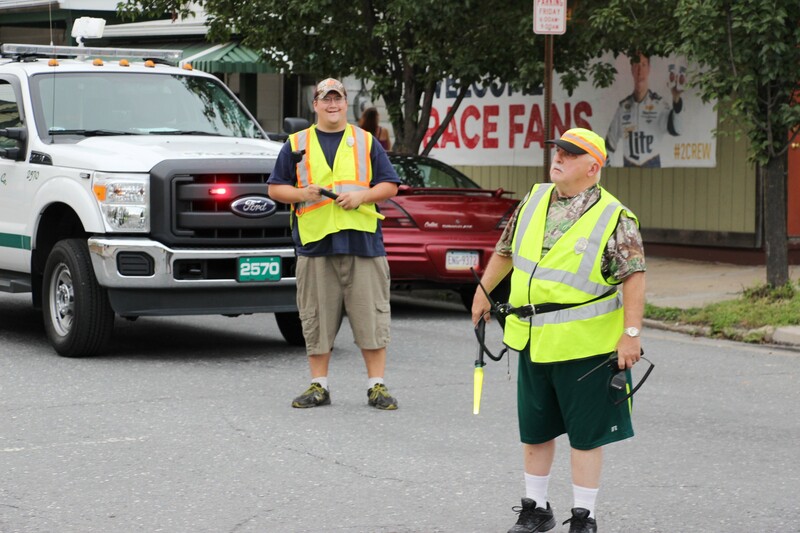 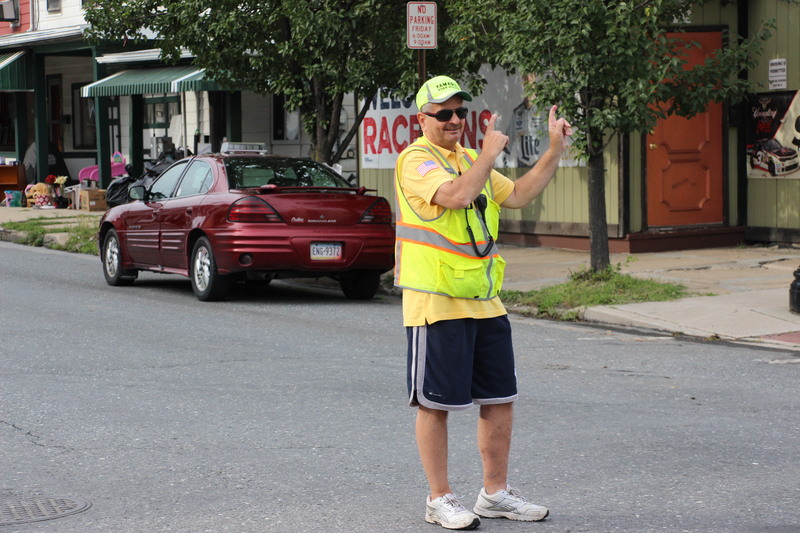 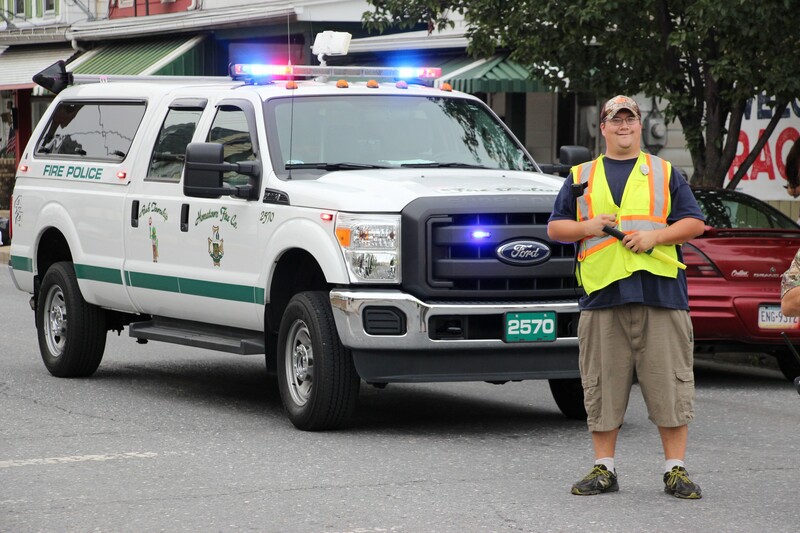 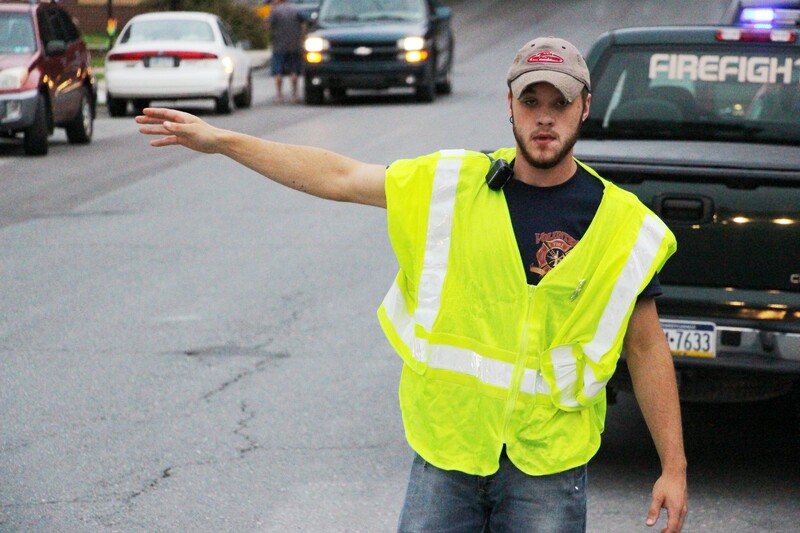 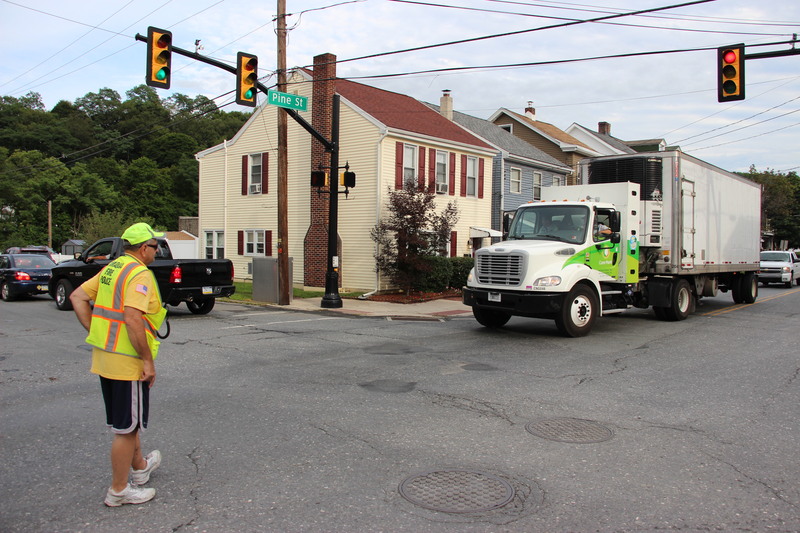 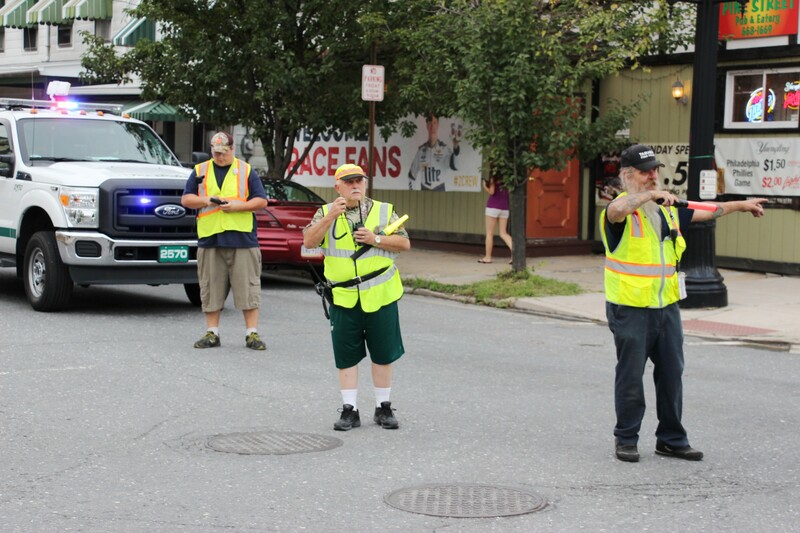 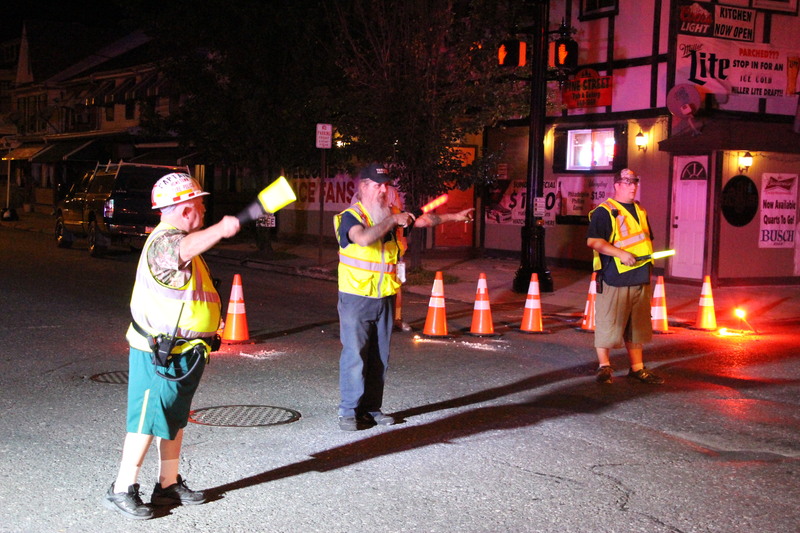 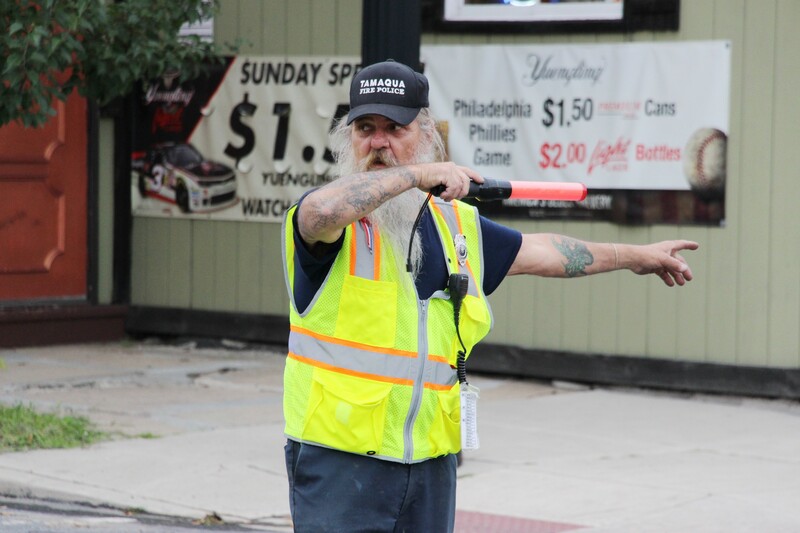 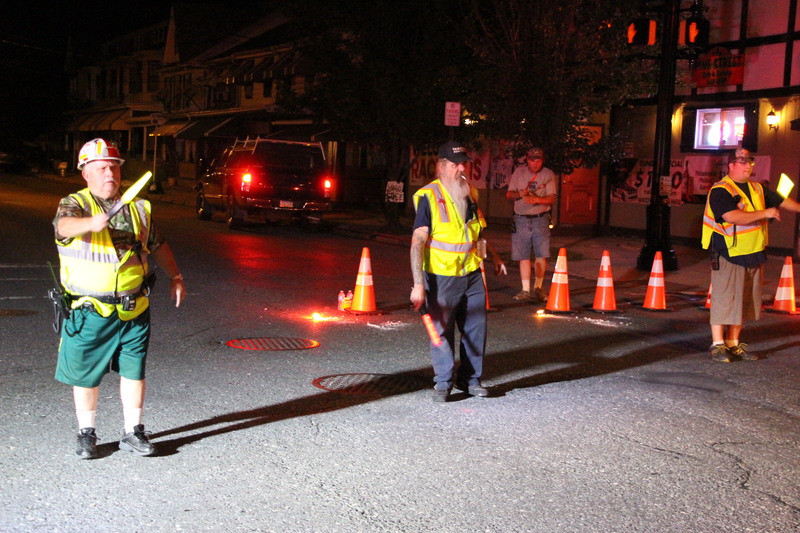 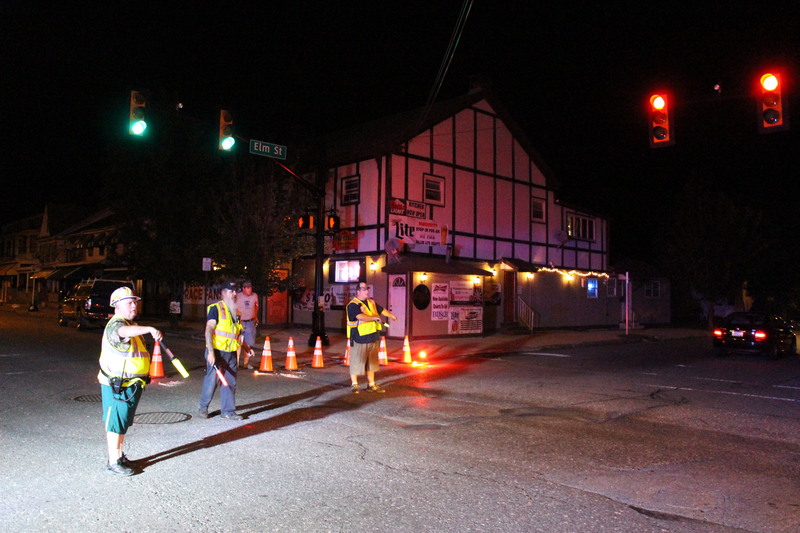 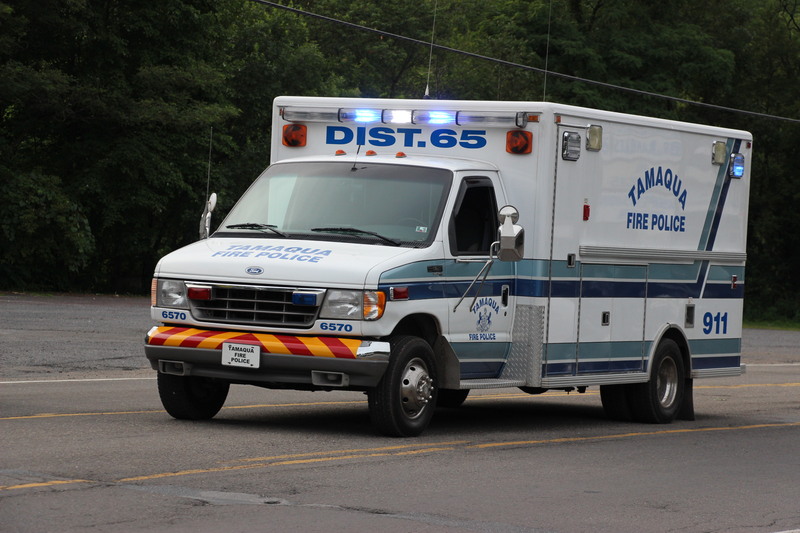 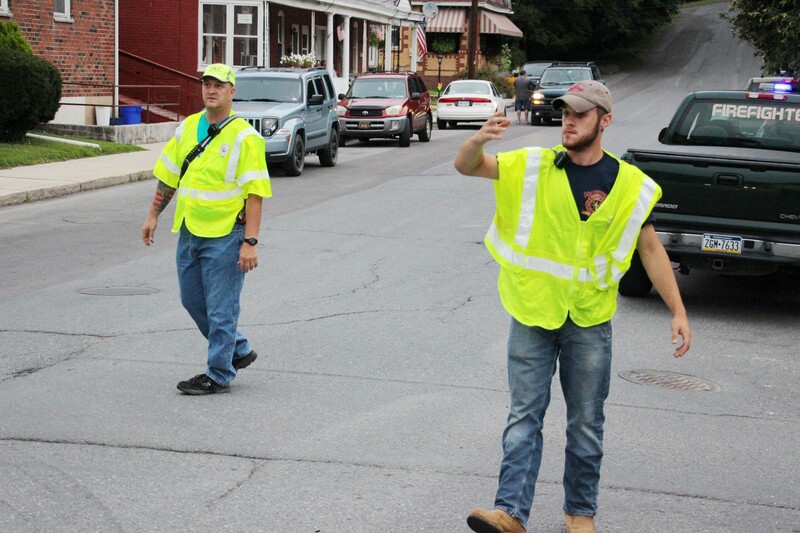 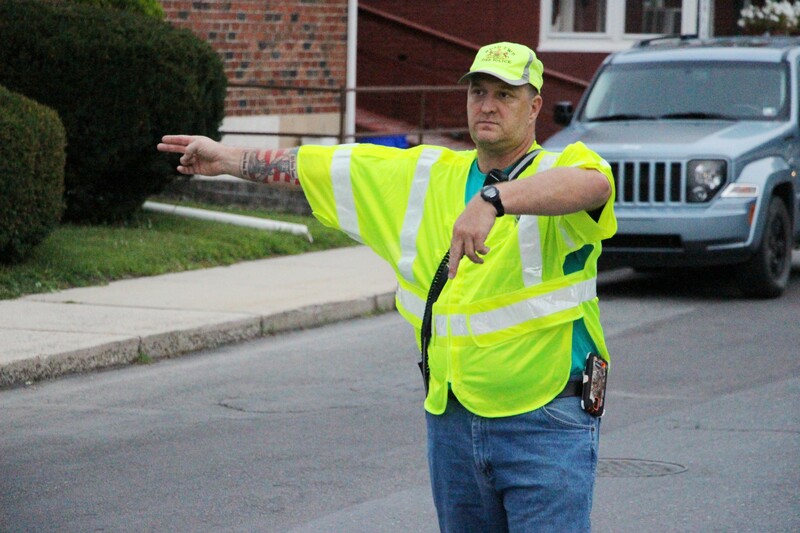 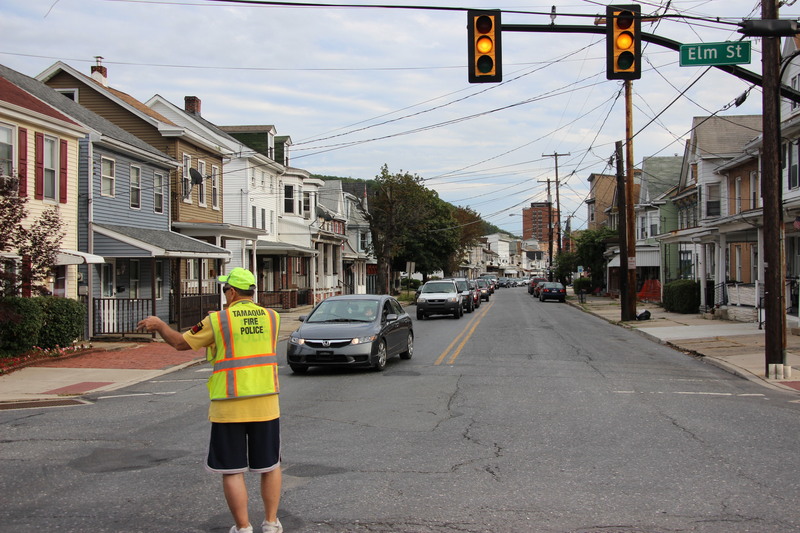 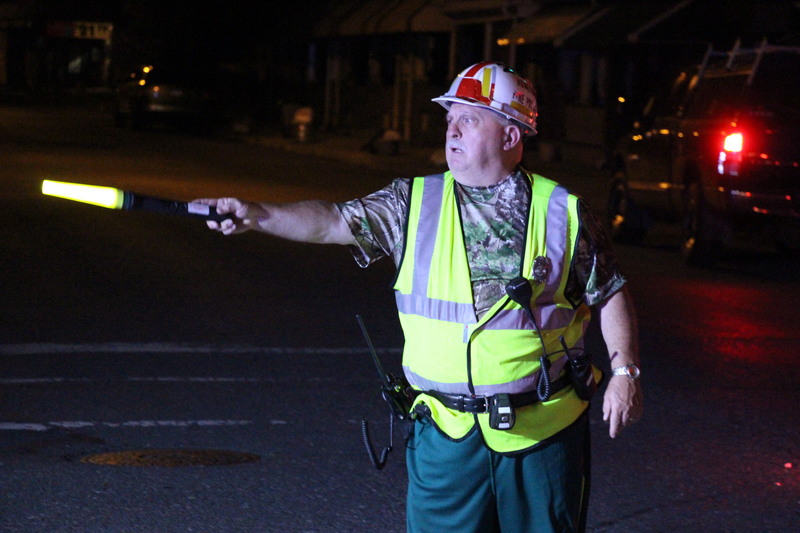 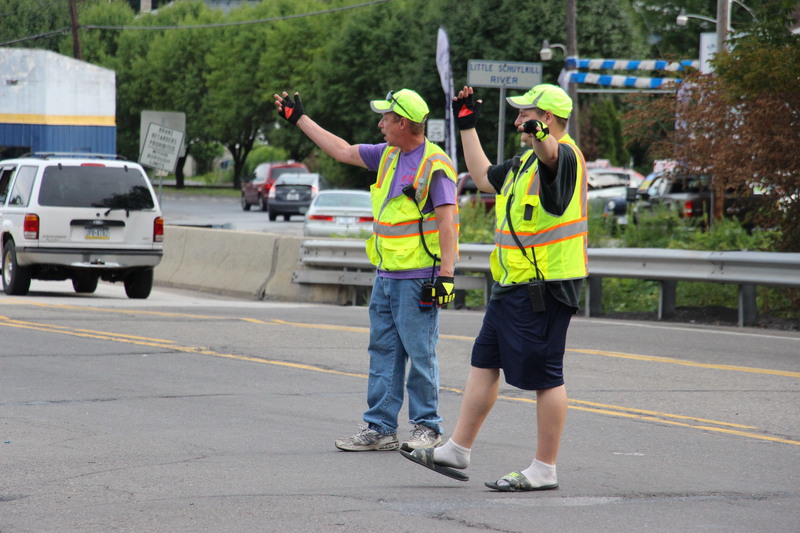 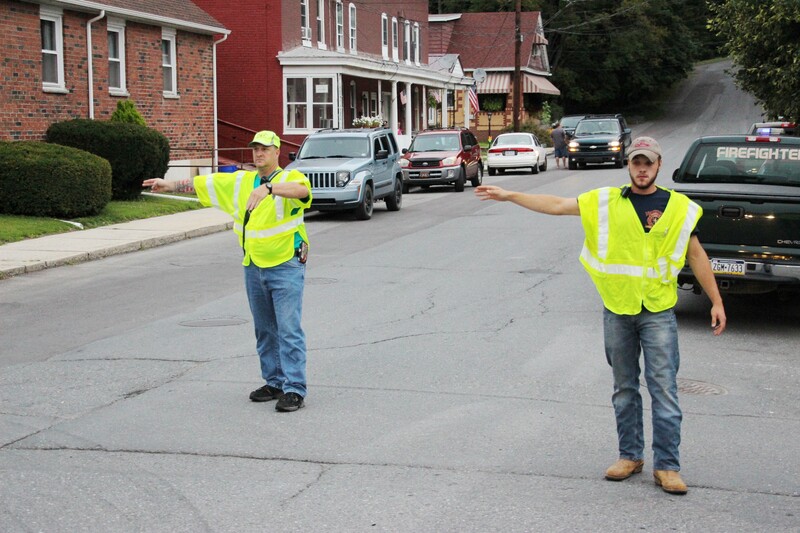 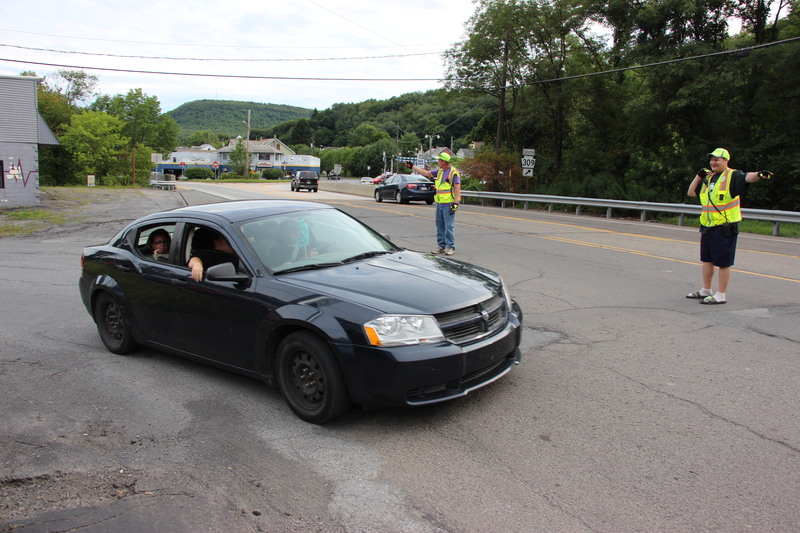 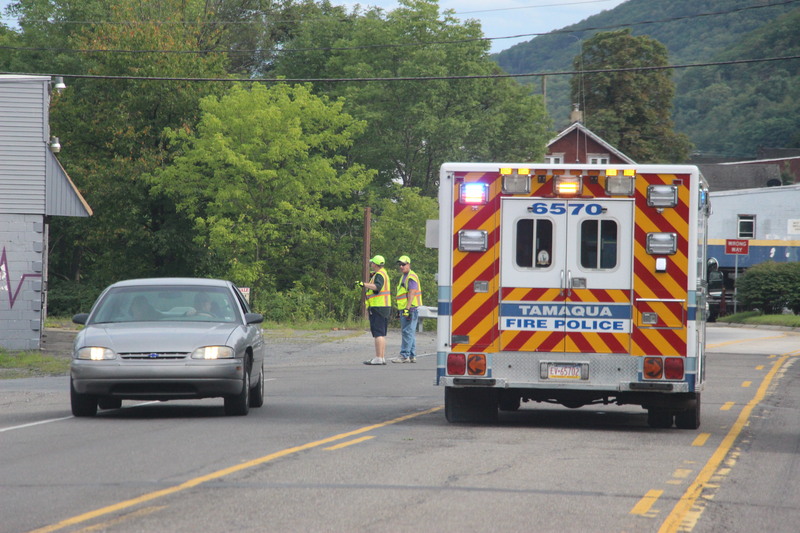 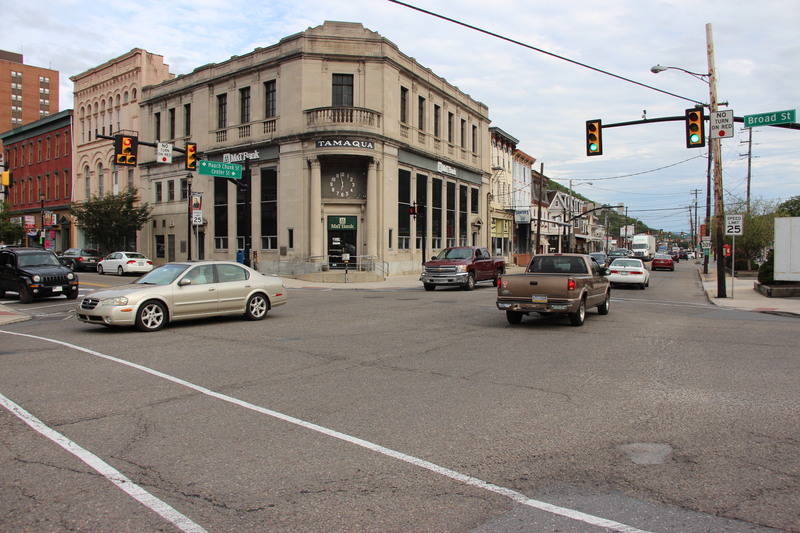 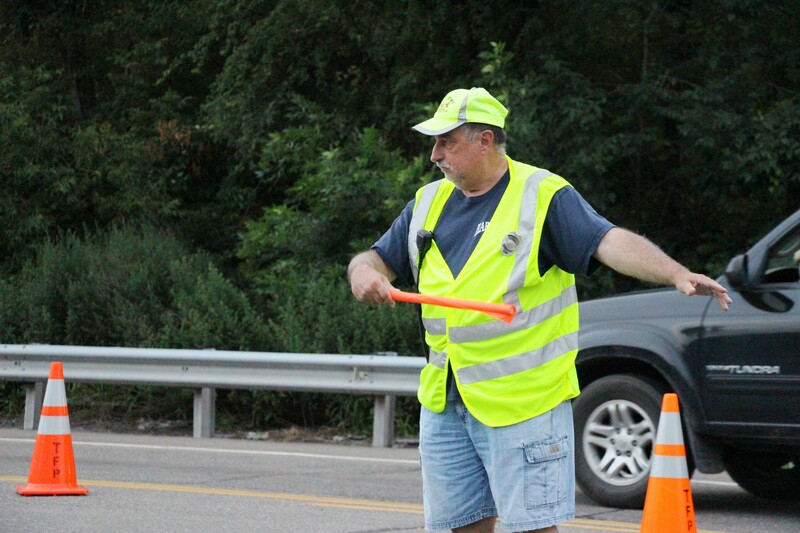 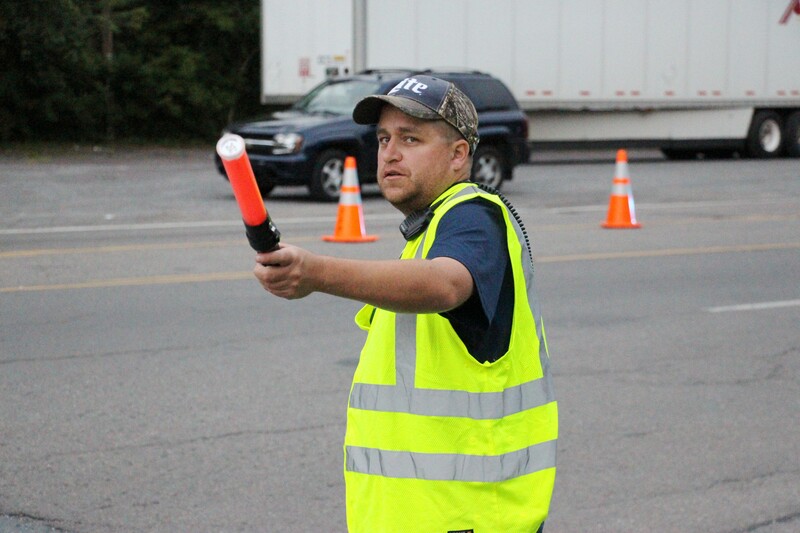 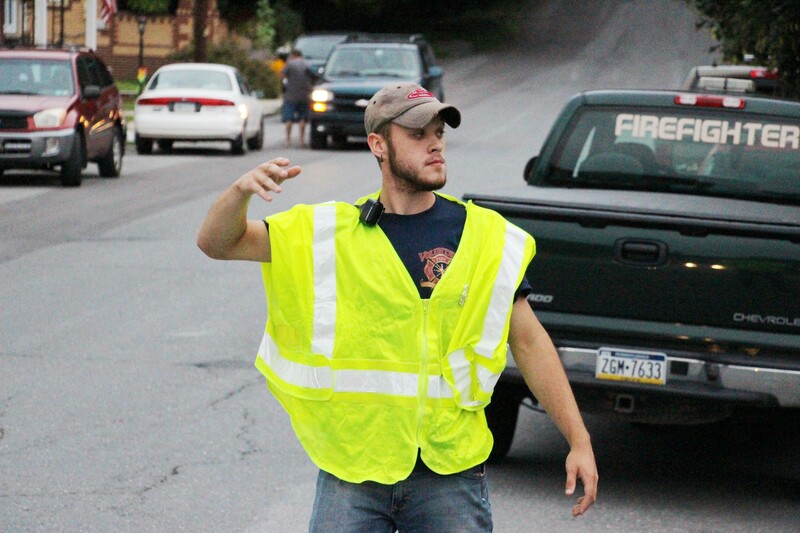 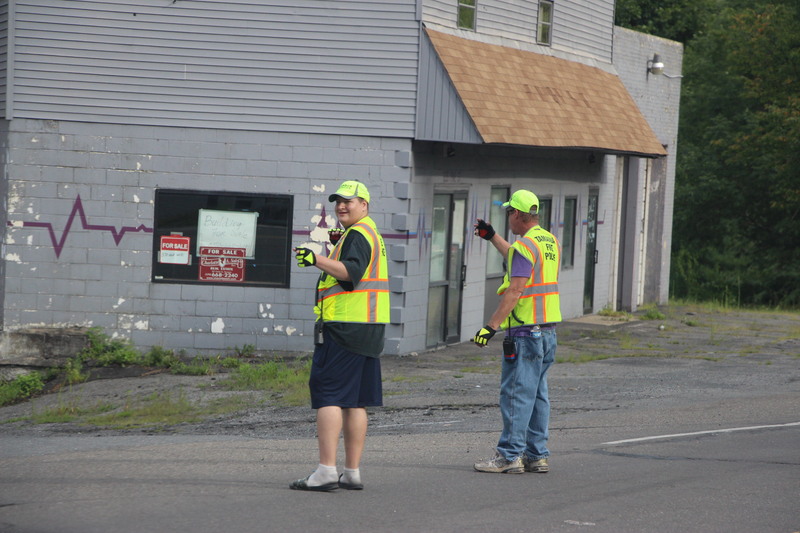 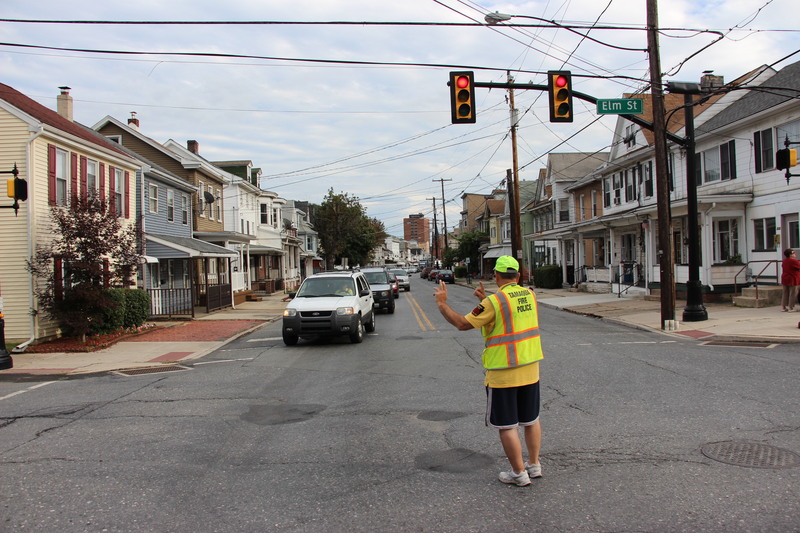 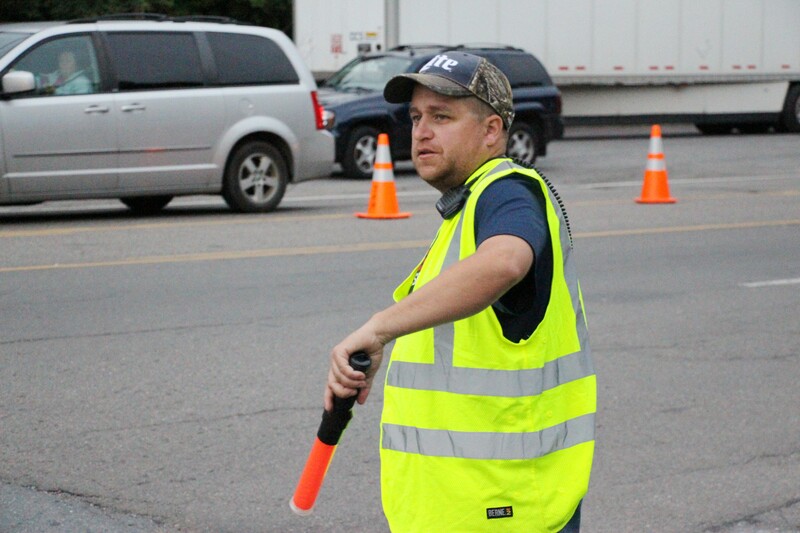 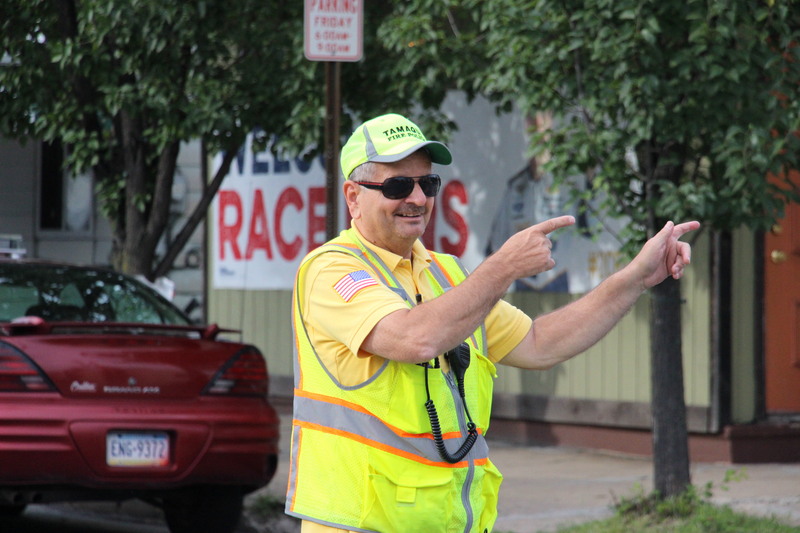 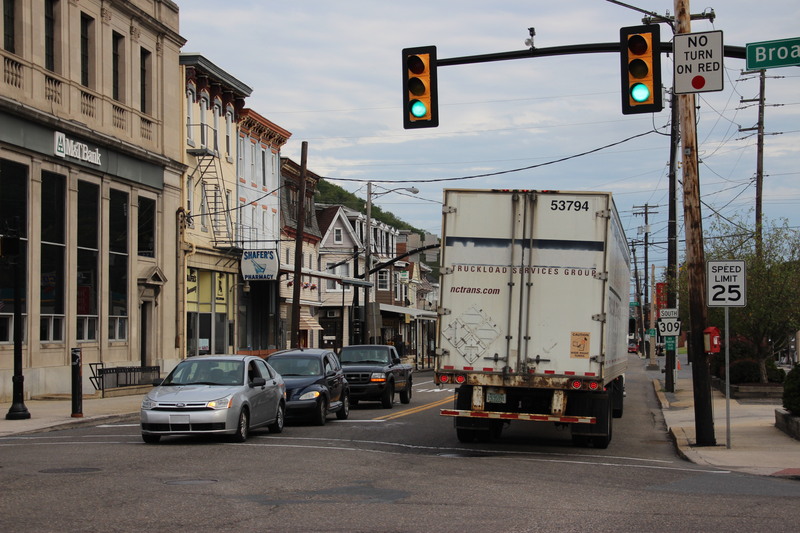 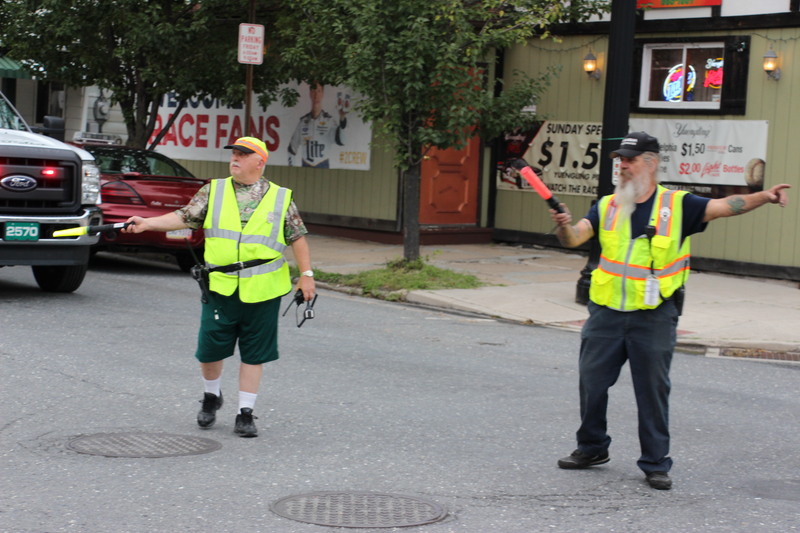 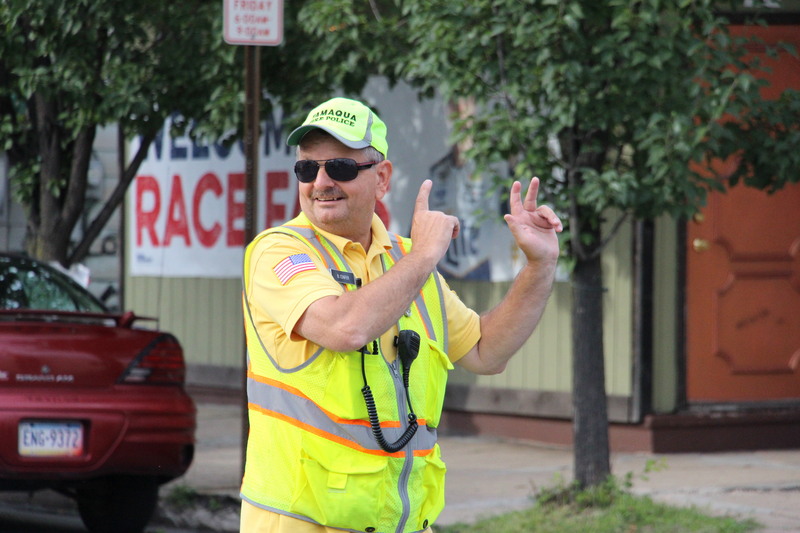 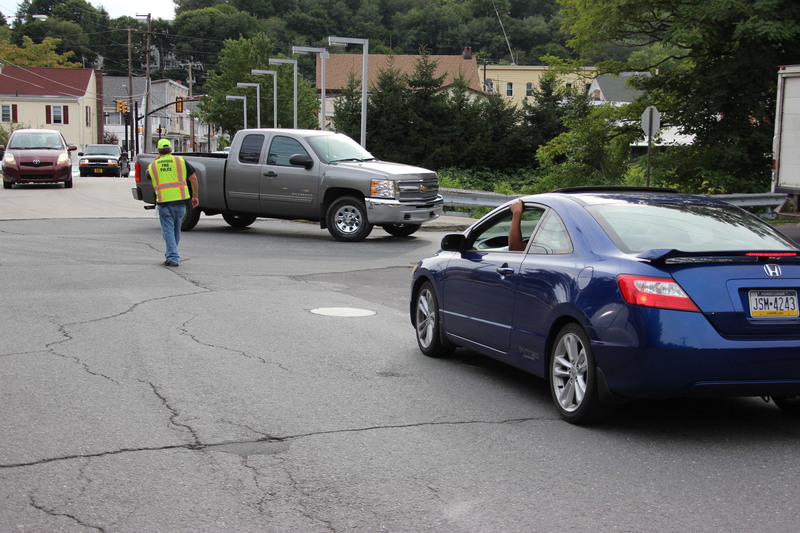 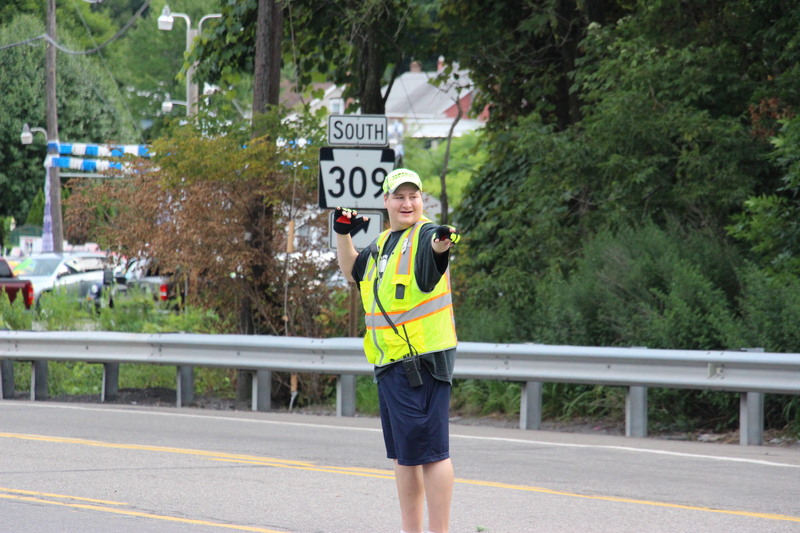 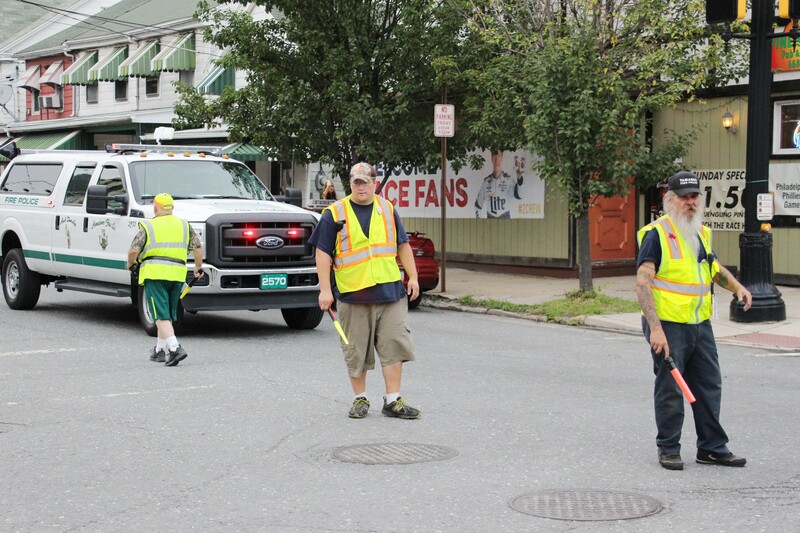 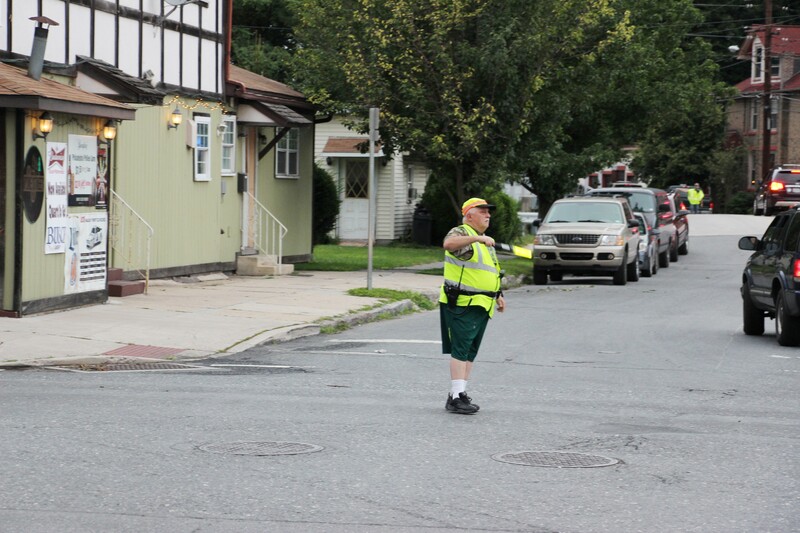 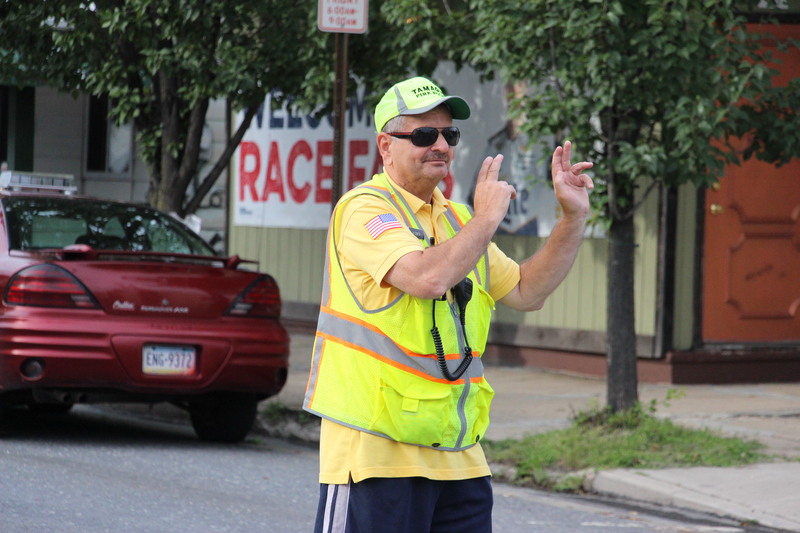 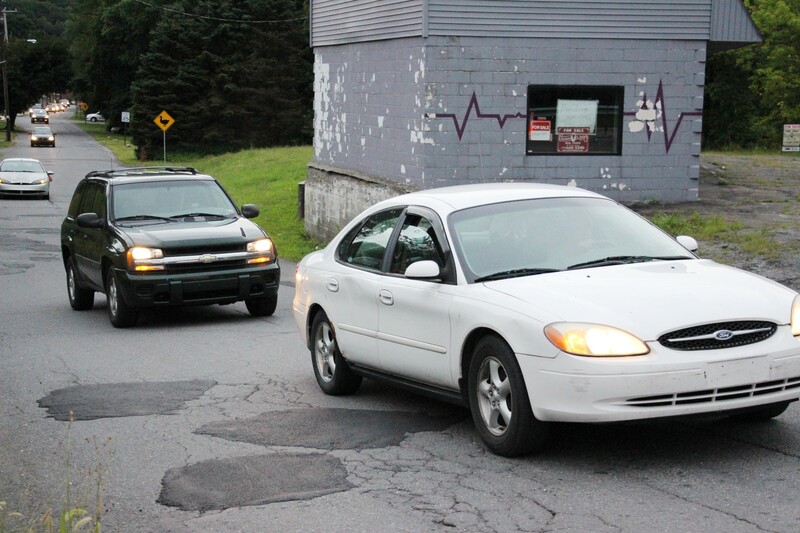 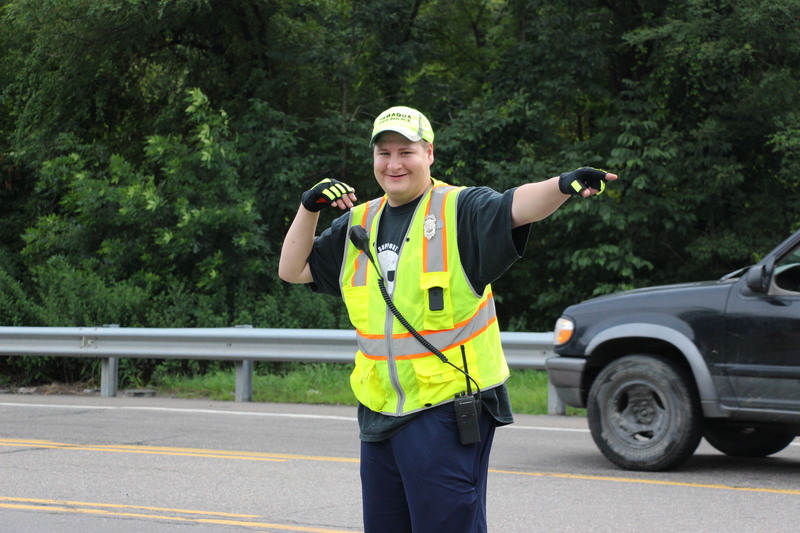 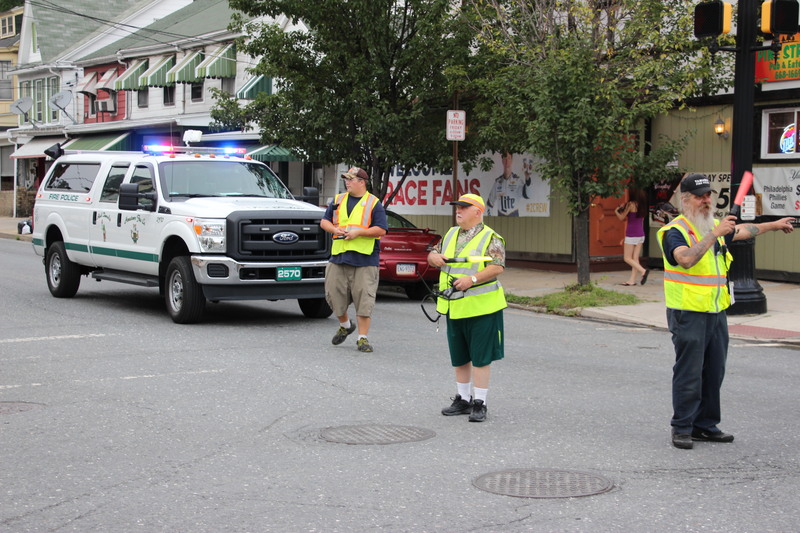 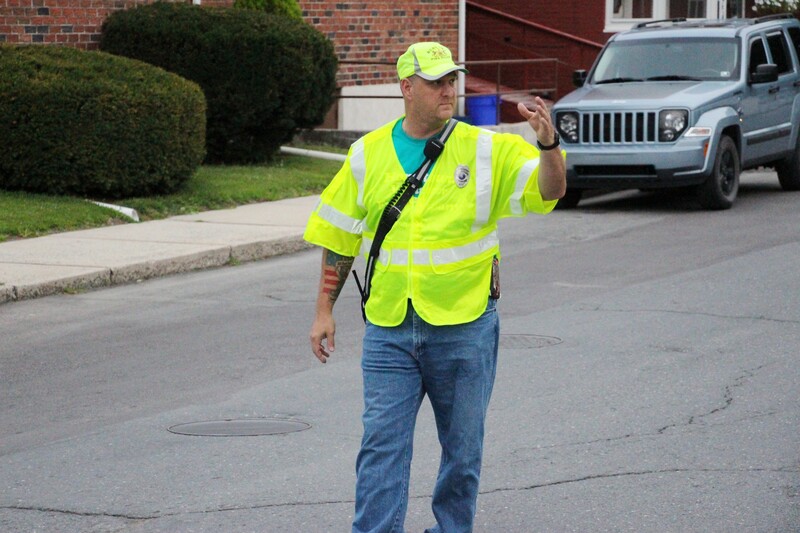 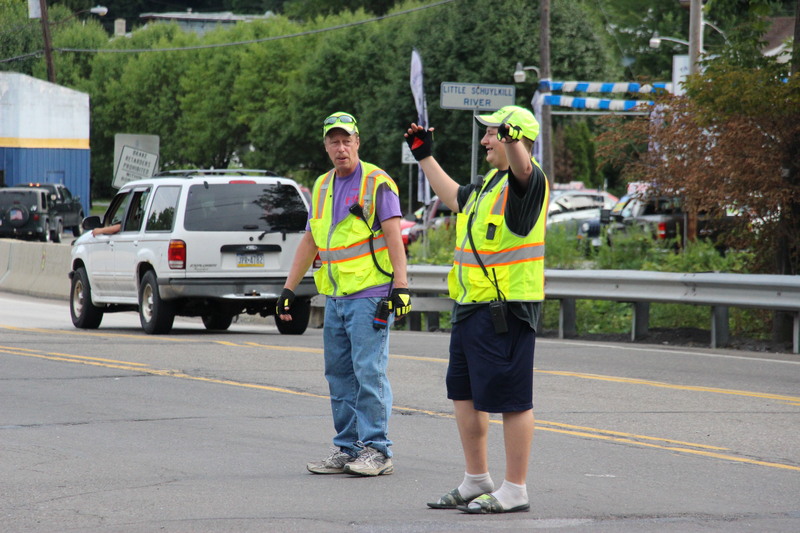 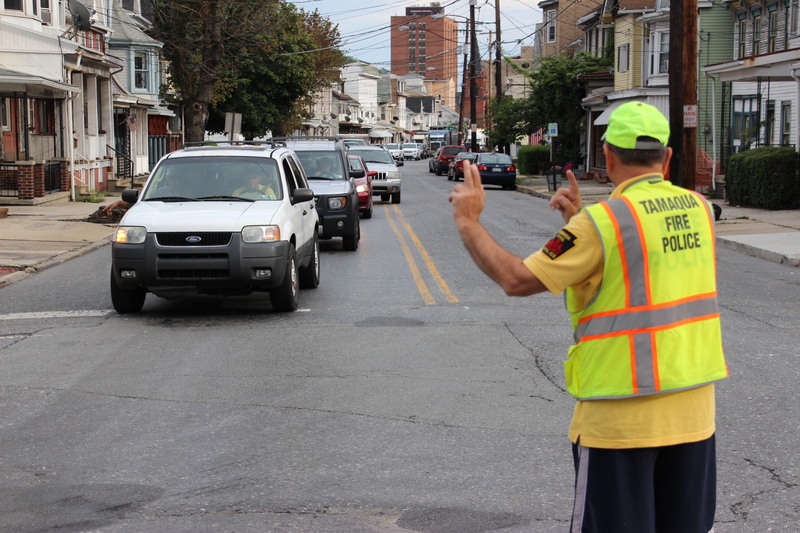 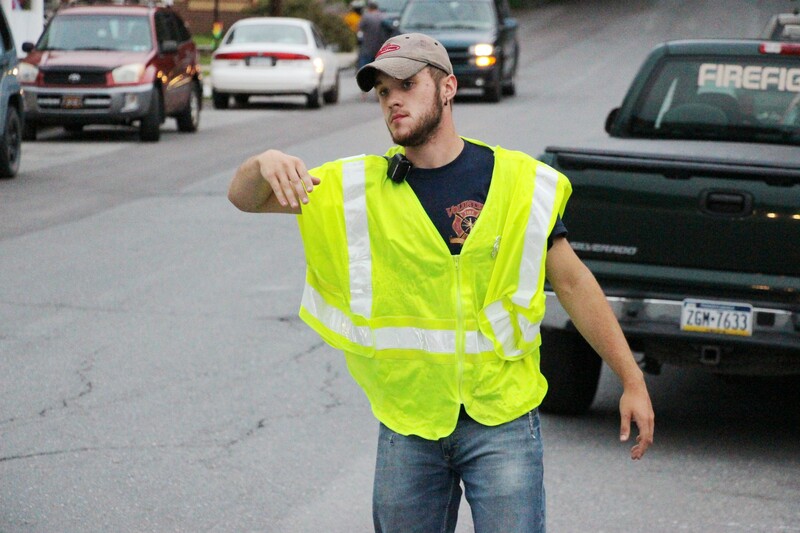 Fire police volunteers from Tamaqua Fire Department and Hometown Fire Company have been directing traffic non-stop following a water main leak around 3 PM today (Thursday, August 6, 2015) under the 500 block of Pine Street (SR309) in Tamaqua. 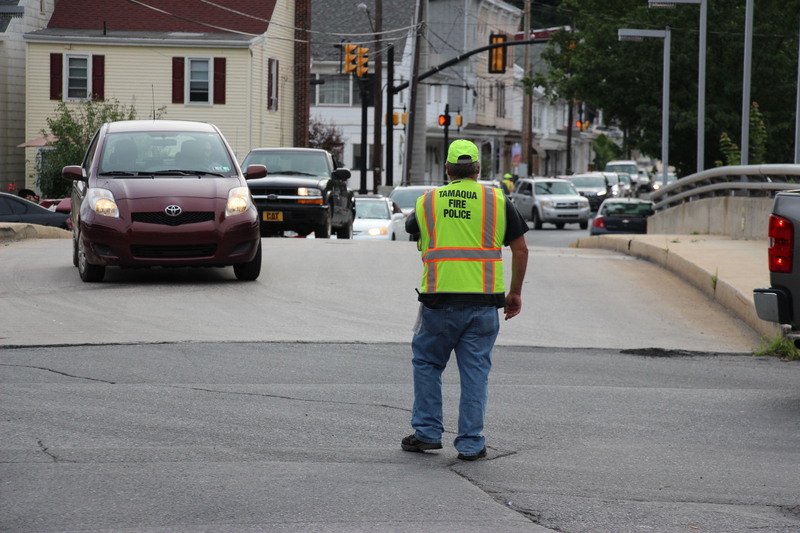 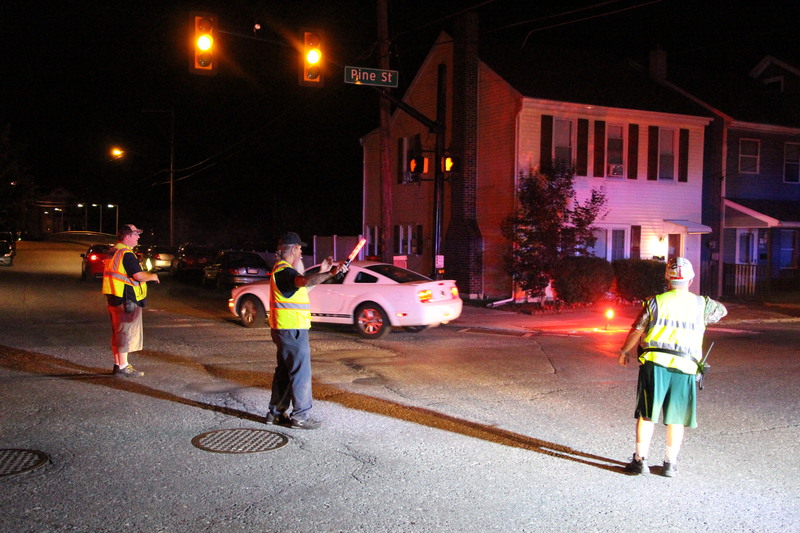 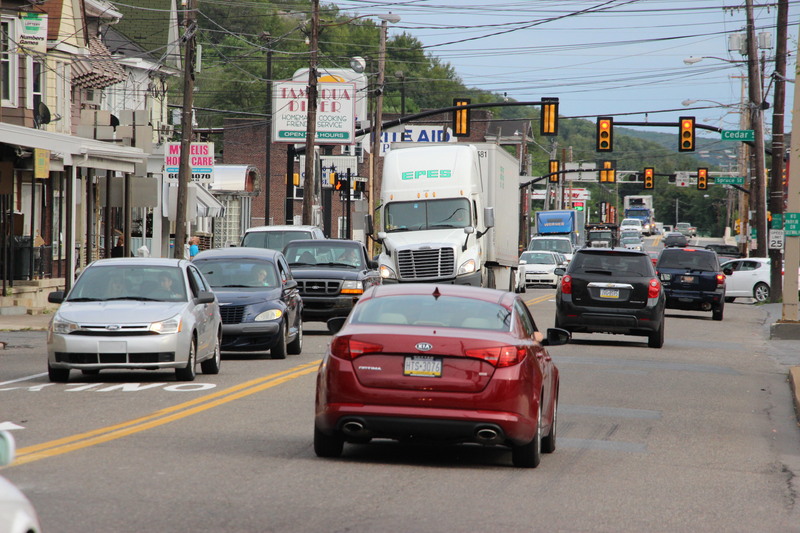 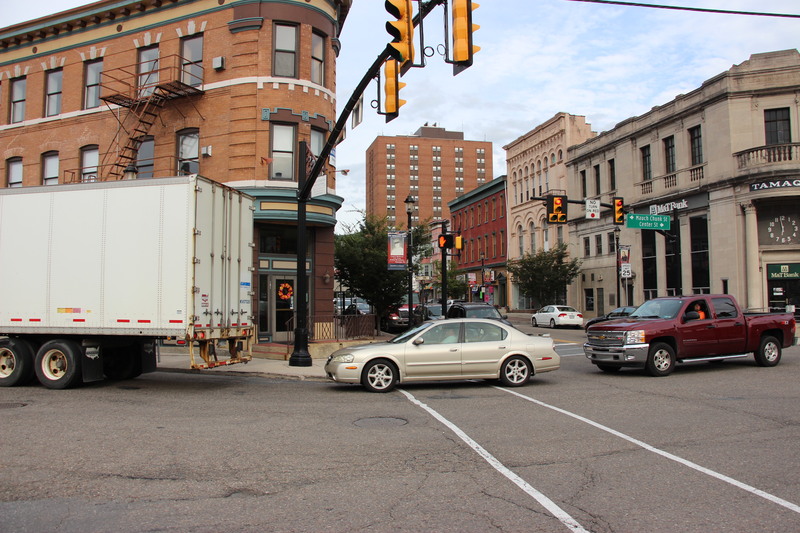 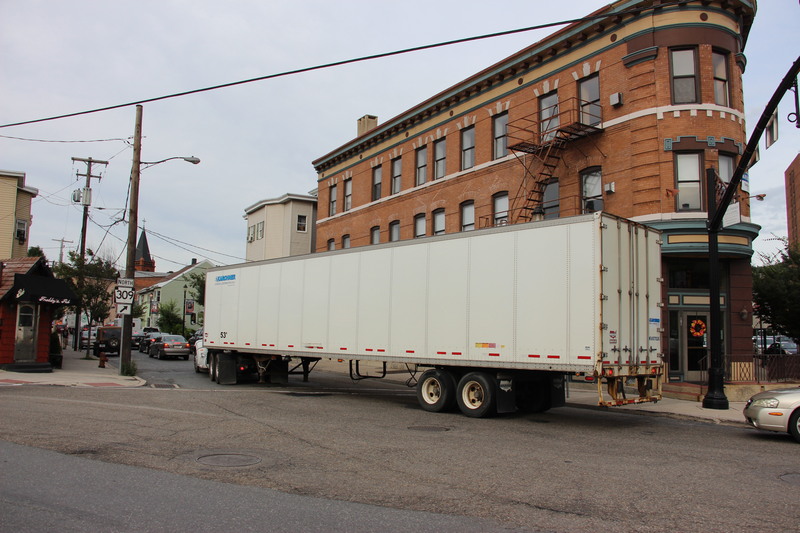 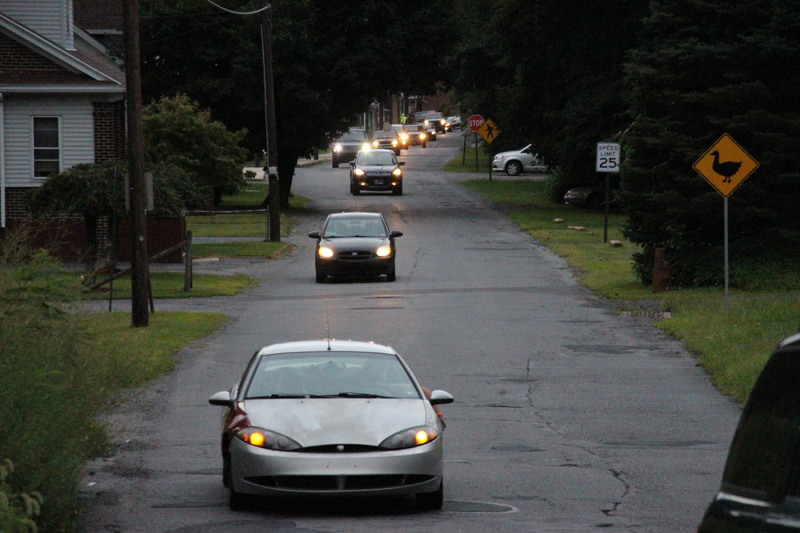 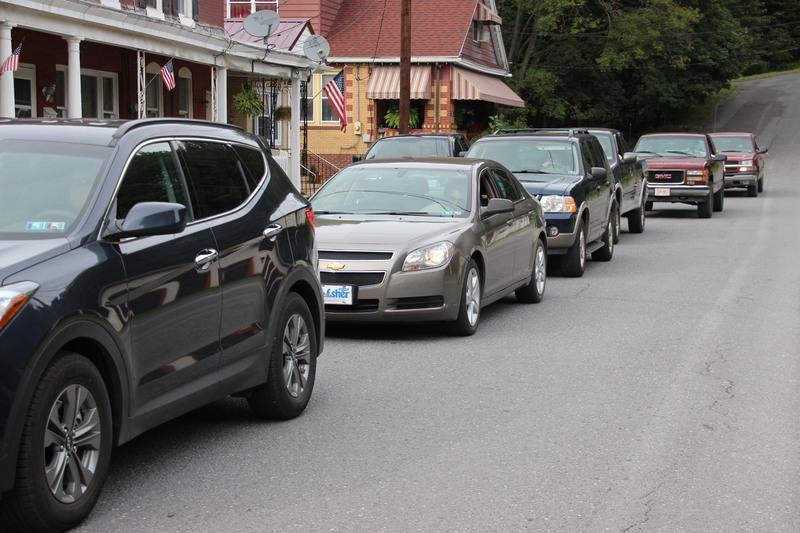 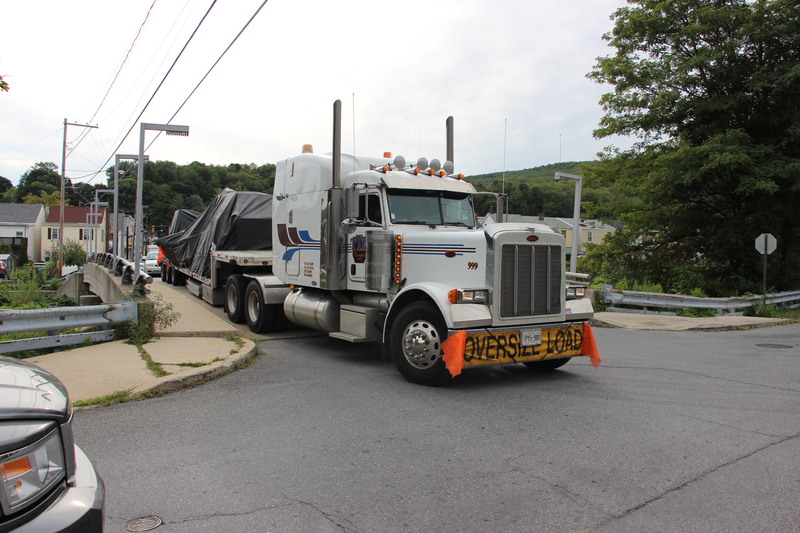 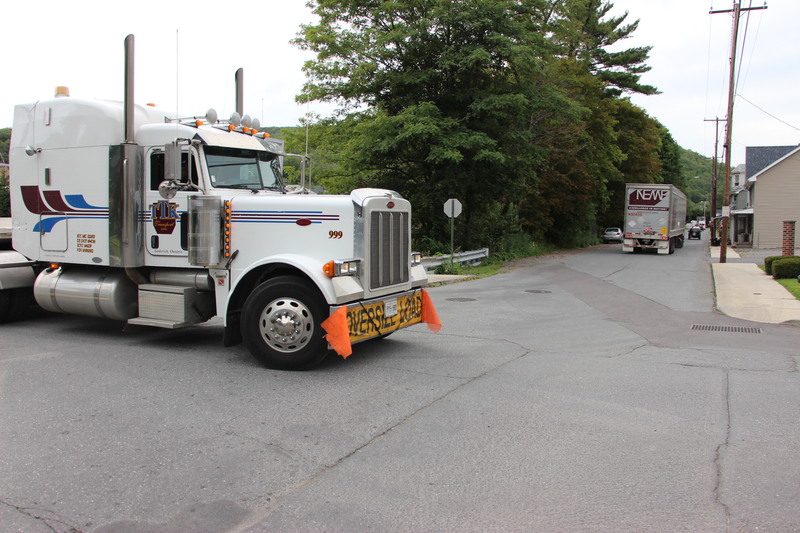 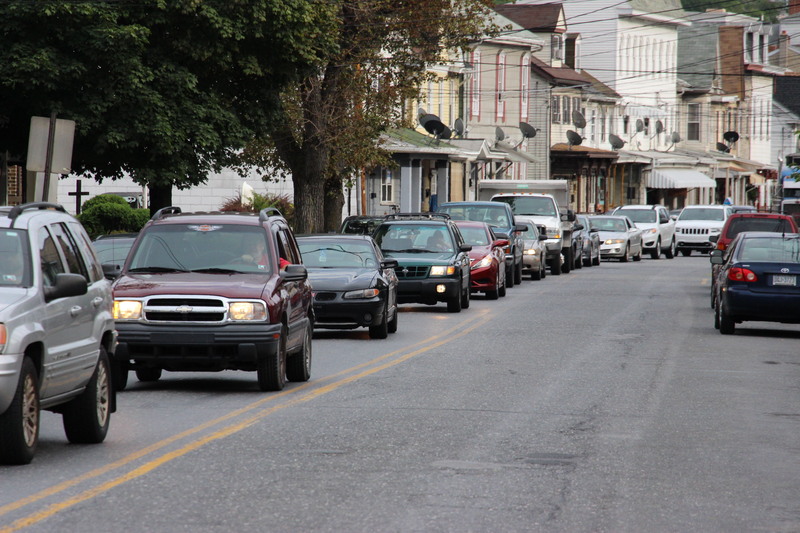 Traffic was detoured onto Elm Street and then onto Schuylkill Avenue. 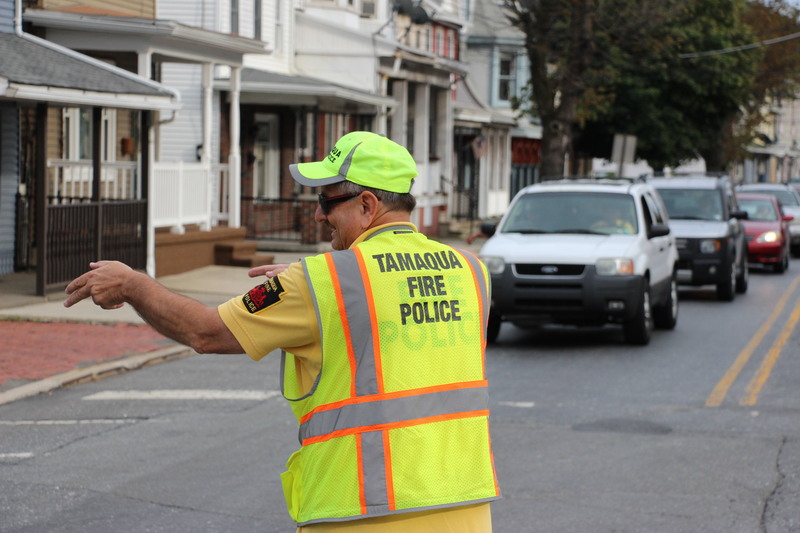 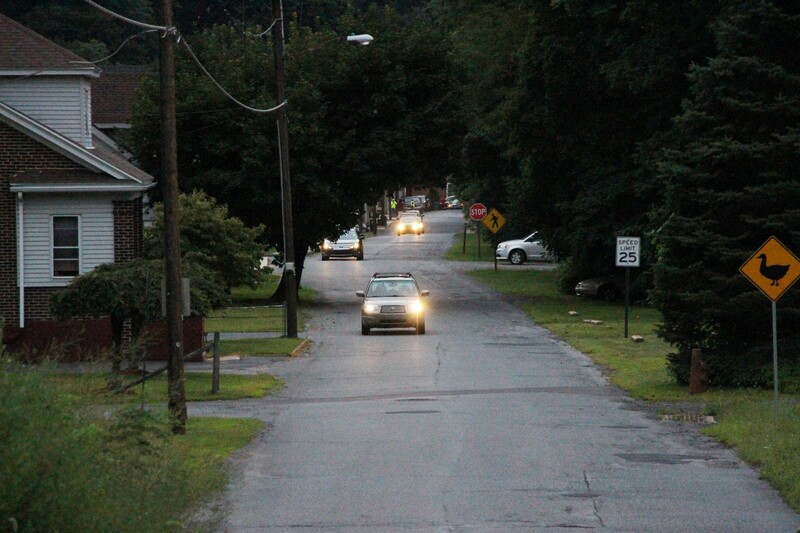 In addition, a water boil advisory is in effect for a small portion of the Middle Ward section of Tamaqua. 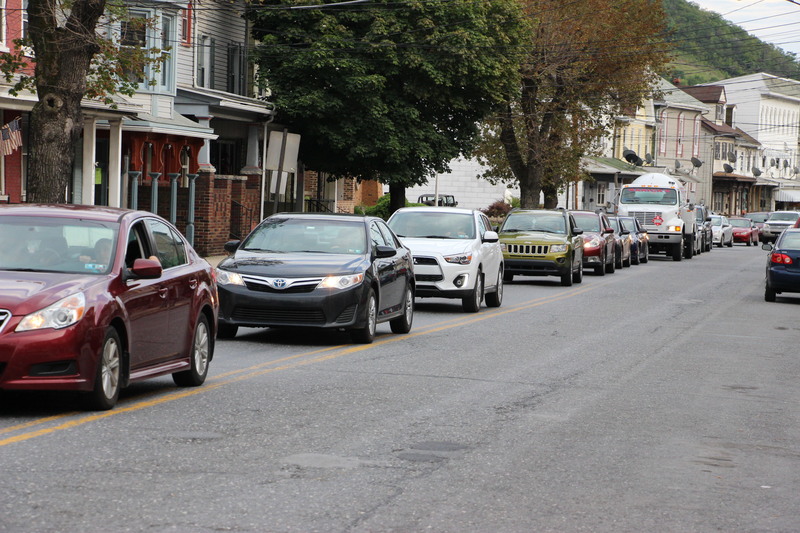 The boil advisory impacts parallel residents of the 500 and 600 blocks of Pine Street and 500 and 600 blocks of North Railroad Street. 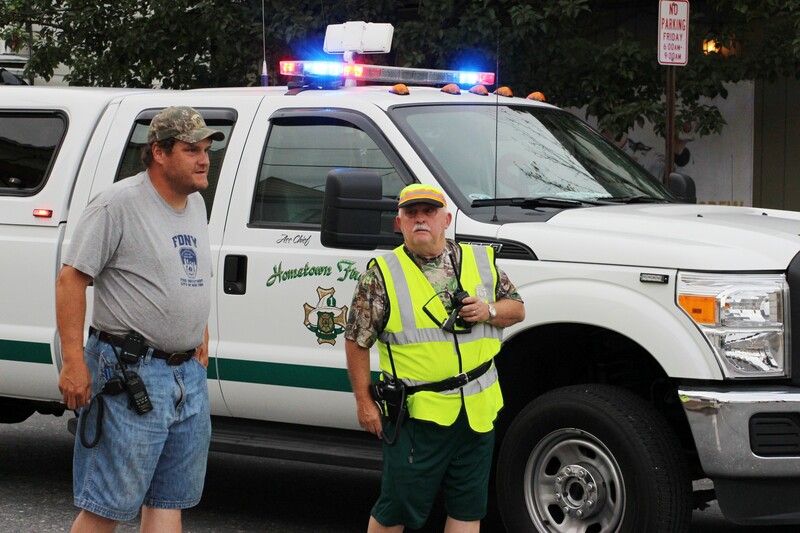 Members of the Tamaqua Salvation Army and Tamaqua Volunteers group provided food and refreshments to the volunteers and borough crews. 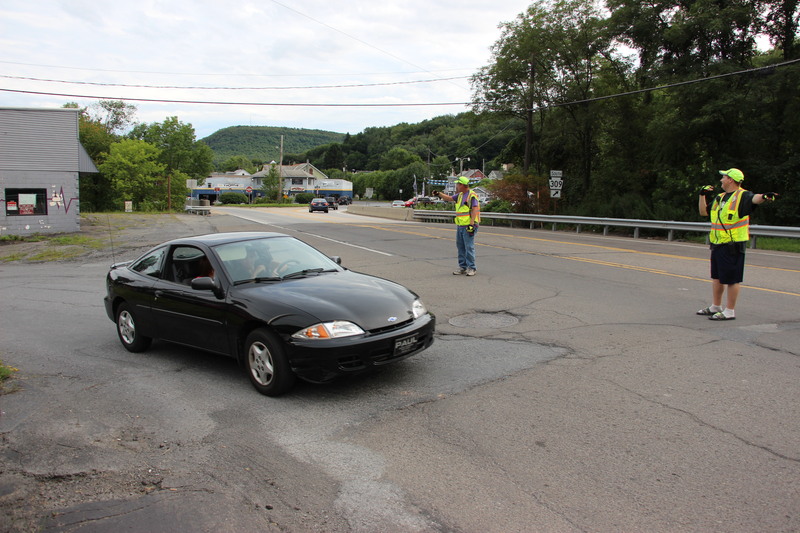 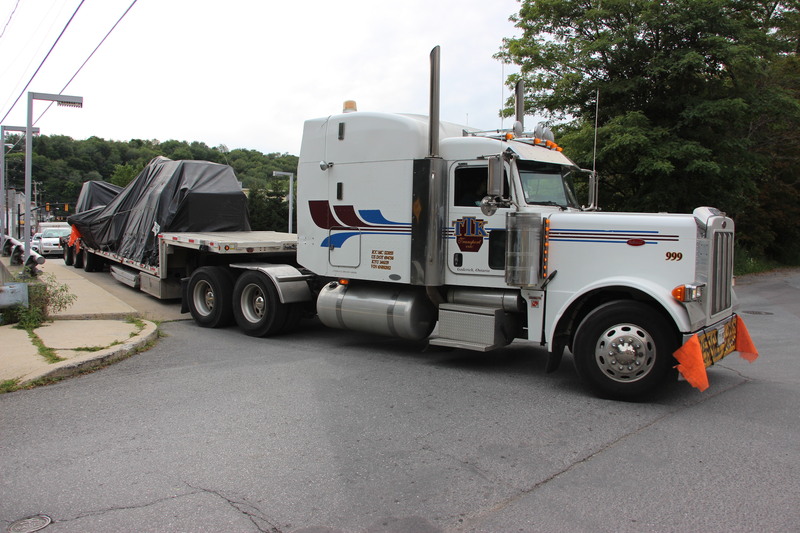 Hometown McDonalds and Tamaqua Burger King donated burgers to the groups to be distributed. 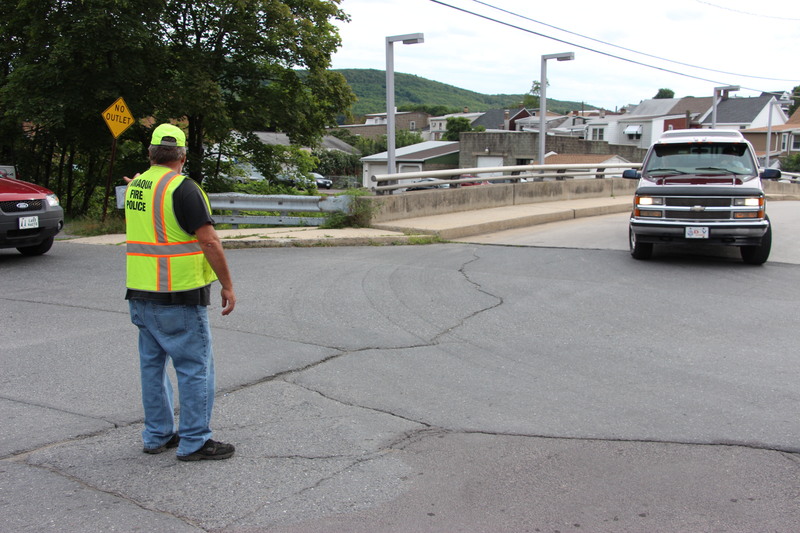 Borough crews hope to have the work done and road back open before midnight tonight. 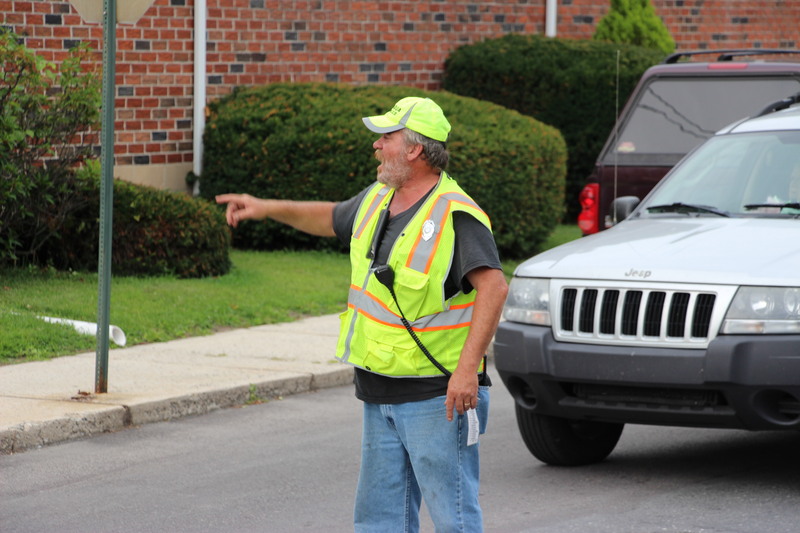 Click HERE to view the pre-story.